Last week, news surfaced that Saudi Arabian officials were suspected to have killed US journalist Jamal Khashoggi, allegedly torturing and dismembering him inside the Saudi consulate in Istanbul. Across Washington, officials are now discussing ways to penalize the country for the killing, whether through sanctions or other methods. But that reaction could create unexpected problems for US tech companies, which have received billions in investment from Saudi Arabia in recent years. Crown Prince Mohammed bin Salman has poured money into American tech companie s both directly and indirectly, as part of an initiative to diversify the countryâs oil-dependent economy. Itâs called Vision 2030, and the Saudis hope to invest at least $2 trillion within the next two decades in industries like energy and technology. The move has made Saudi Arabia the biggest investor in US tech startups, a status that may now have uncomfortable implications for the industry at large. There are a number of legal mechanisms for preventing foreign investment in US companies, from the Council on Foreign Investment in the United States (CFIUS) to outright sanctions by the US Treasury. 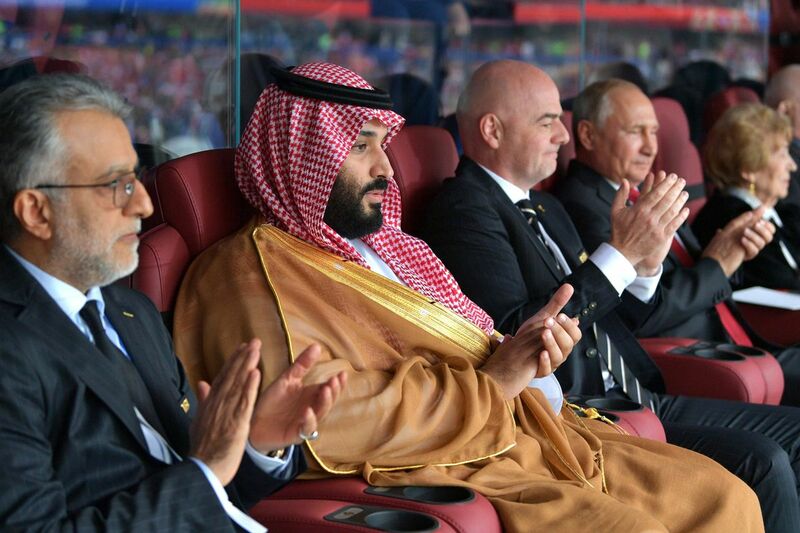 Thus far, those efforts have been more commonly used against Russia and Iran, but if Saudi Arabia becomes a target, it could create a significant headache for companies holding Saudi cash. At the very least, it suggests the rush of Saudi investment that has fueled much of the recent startup boom could be coming to an end. The nationâs sovereign Public Investment Fund has been one of its largest means of directly investing into American tech companies like Uber, investing $3.5 billion in the ride-sharer in 2016. The Crown Prince also invested $45 billion into a SoftBank subsidiary, the Vision Fund, which made subsequent investments in a number of US tech companies. The Vision Fund made significant investments into Slack, DoorDash, and Nvidia. Slack declined to comment and DoorDash did respond to a request for comment as of publication. In an email with The Verge, Nvidia said the company, âdidnât receive funding from the SoftBank Vision Fund. SoftBank bought NVIDIA shares in the market, the way any investor could, and the proceeds were received by the sharesâ previous owners. Our understanding is those shares were subsequently transferred to the Vision Fund.â Although the funds were not purchased directly by Vision Fund, the Fund now holds a nearly 5 percent stake in the company. WeWork pointed to a press release fro m last year acknowledging the Vision Fundâs $4.4 billion investment in the company, with co-founder and CEO Adam Neumann saying, âThis support from SoftBank and the Vision Fund will provide even more opportunities for creators as we set out to humanize the way people work and live.â WeWork declined to comment further. The money Saudi Arabia is prepared to funnel through American startups is something theyâve so far found difficult to reject. Silicon Valley is known for consumer-facing idealistic mission statements, and as tensions continue to grow, these investments could make it appear as though the companies support the Saudiâs politics. This wouldnât be anything new, either. Just last year, Uber came under fire after it accepted Saudi investment, with venture capitalists claiming the company was therefore endorsing the Saudi government and its stance on controversial gender and sexual rights issues. Throughout the past week, the White House has declin ed any real action until it gets to the bottom of Khashoggiâs disappearance. Just this afternoon however, Treasury Secretary Steve Mnuchin pulled out of the Saudi Riyadh Future Investment Initiative, one of the biggest financial summits in the world, where he was set to appear next week. According to Defense News, Sen. Lindsey Graham (R-SC) has promised to cut off arms sales with the country so long as the Crown Prince remains in power. âI can never do business with Saudi Arabia again until we get this behind us,â Graham said. âIâm not going back to Saudi Arabia as long as this guyâs in charge.â Other penalties have been raised by the Trump administration, like suspending military aid and enacting sanctions as well. The new political tensions have already caused problems for planned investments in the US. The Endeavor talent agency reportedly backed out of a $400 million investment from Saudi Arabiaâs sovereign wealth fund earlier this week. V irgin Galactic, a space tourism venture, has also suspended its partnership as a result of tensions. Analysts say plans for a second Vision Fund collaboration between SoftBank and the Public Investment Fund may be placed on hold indefinitely.